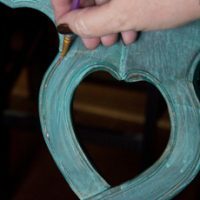 Did you know that you can easily transfer graphics onto furniture? 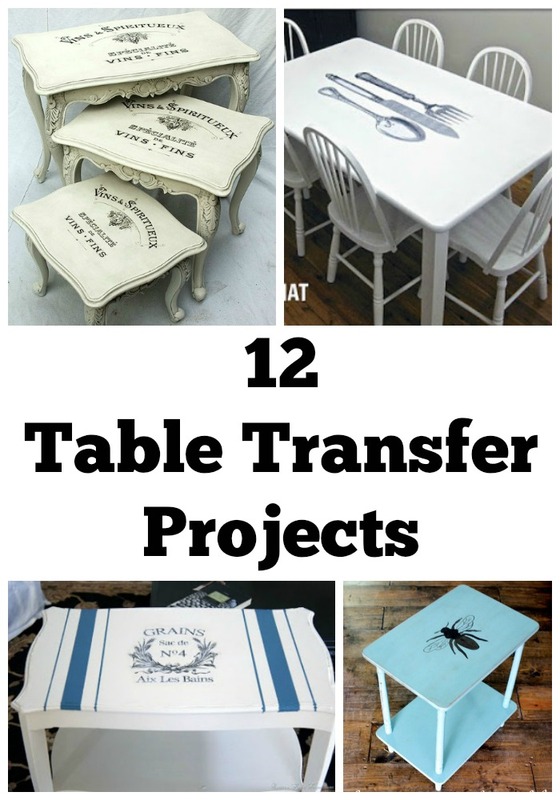 These 12 fantastic table transfer projects are perfect examples of way to use graphic from The Graphics Fairy in your furniture makeover projects. From simple side tables to large projects like coffee or dining tables, you will find a little bit of everything in this collection. This collection of nesting tables comes from Touch the Wood. 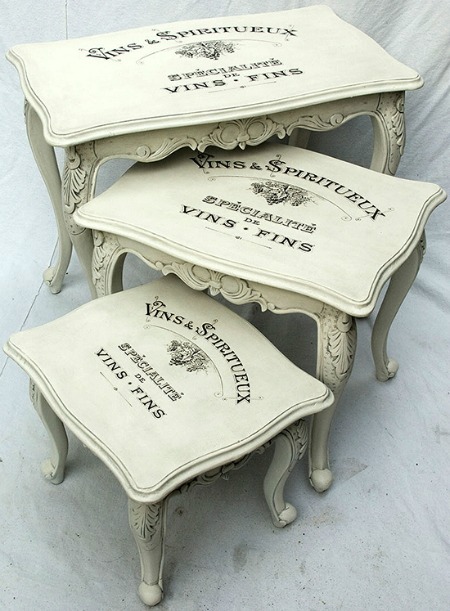 I love the use of the wine themed typography transfer printable. 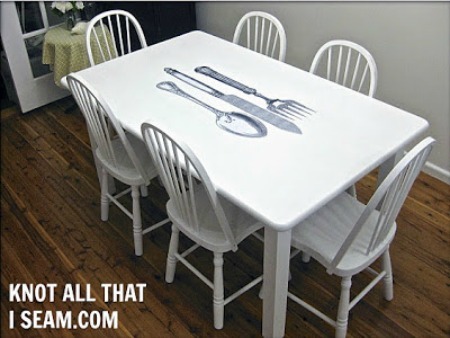 This cutlery themed dining table, featuring the fork, knife and spoon graphic, comes from Restyle Relove. 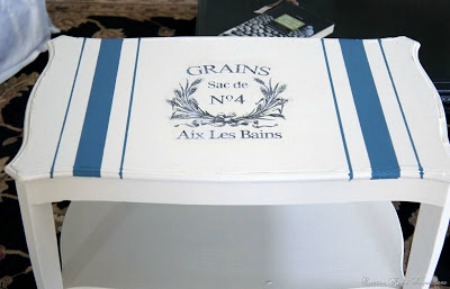 I absolutely love the blue on this Grain Sack themed table from Creative Home Expressions. 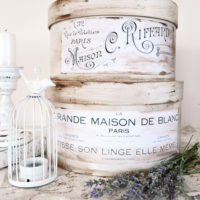 The French grain sack with the wheat wreath looks perfect. 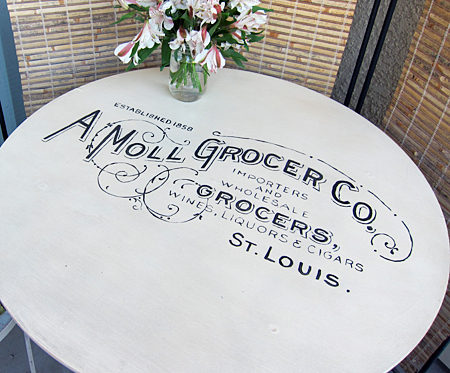 Sarah K Creatives shared this super cute bistro table featuring the vintage grocery sign. 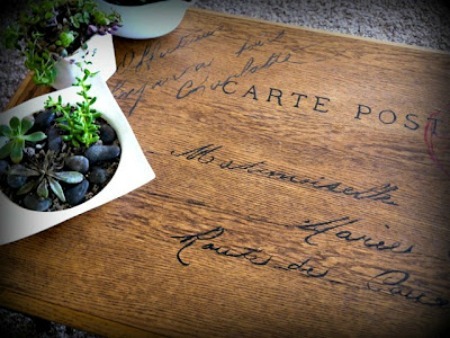 This gorgeous wood table, featuring the French postcard, comes from Red Hen Home. 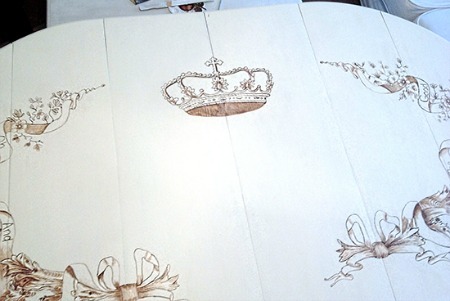 The French ephemera and delicate princess crown look fantastic on this table from Shabby Pink Stamper. 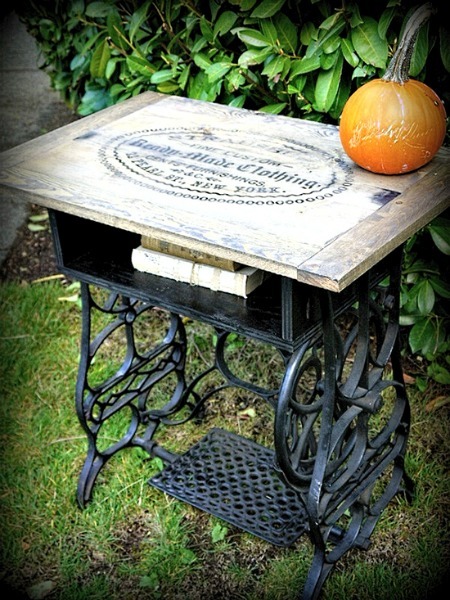 How amazing does this vintage sewing table featuring a vintage clothing ad look? 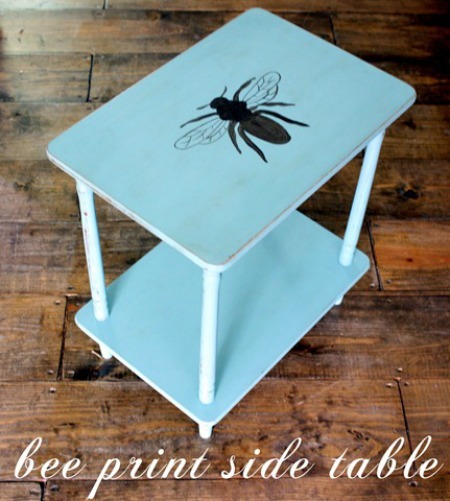 Gina, from the Shabby Creek Cottage, shared this awesome bee print side table here at The Graphics Fairy. 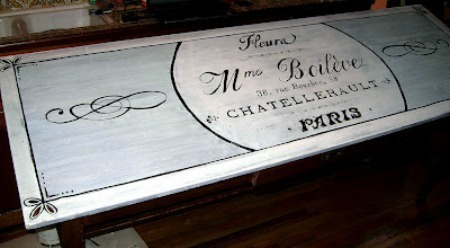 This gorgeous French themed table, featuring the flower seller graphic, comes from an actual florist, Brandy Spears. 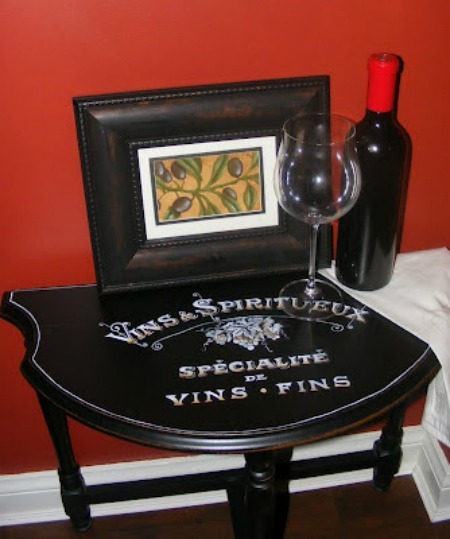 This hand painted wine table, from Tracy Moreau, features the wine themed typography printable. 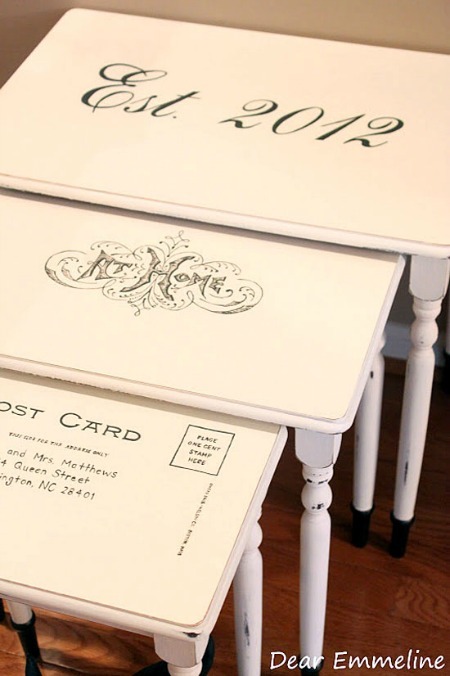 This set of nesting tables comes from Dear Emmeline and features the black and white wedding clip art. This clock themed table, from NikAntik, looks so perfect with the French clock parts clip art on it. « Antique 1912 Calendar Lady Image – Large Hat! 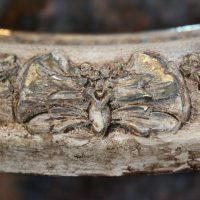 Thanks for this great round-up of projects…love the variety of styles showcased here! Thanks for your sweet comment Joan! And thanks so much for the Pinterest follow!